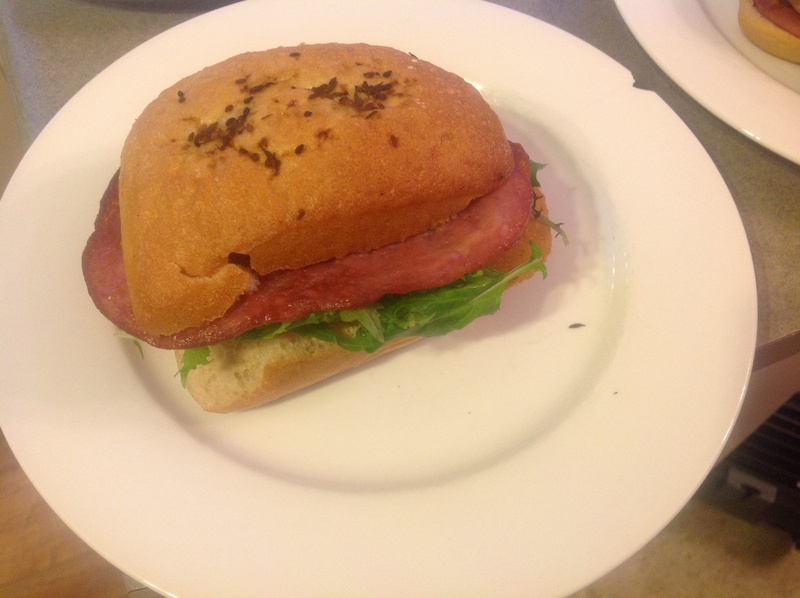 Day #35 – Chicken and Bacon on Turkish Bread | Have kids, they said. It'll be fun, they said. Today is it. The last day of our No Takeaway Challenge! It’s funny, really – all day I’ve been thinking of it as though it’s my last day to cook food. Obviously my kids will still need feeding so it’s not as though I’m hanging up my apron for good. No, don’t cry .. come on .. there, there, I’ll still be here .. it’s ok … shhhhhhh. I wanted to go out with a bang today, cooking a spectacular meal that showcased all that I’ve learned over the past 35 days. But, then today happened. Teething, sore tummy, I’ve no idea what but BabyGirl had 3 hours sleep last night. THREE HOURS. We had a lovely time, her and I, between 12:41am and 2:43am. Just swell. And so, no. No grand meal. No great culinary experience. Rather, a good ol’ fashioned, dash-into-the-supermarket-and-grab-while-dragging-three-kids-along meal. Inspired, I’m not ashamed to say, by KFC. We walked past on the way to the supermarket and in the window was a sign advertising a chicken burger in ciabatta. Great idea, I exclaimed to the window. I shall do that. And thus, I give you, Chicken and Bacon on Turkish Bread. Now, I will be 100% honest and say that I used frozen chicken patties tonight. I weighed up getting those vs chicken breast and crumbing it myself and the patties were considerably cheaper, not to mention quicker. So, there it is. Cook the bacon and the chicken patties. Dice the mushrooms and cook with a little butter (margarine for dairy free). 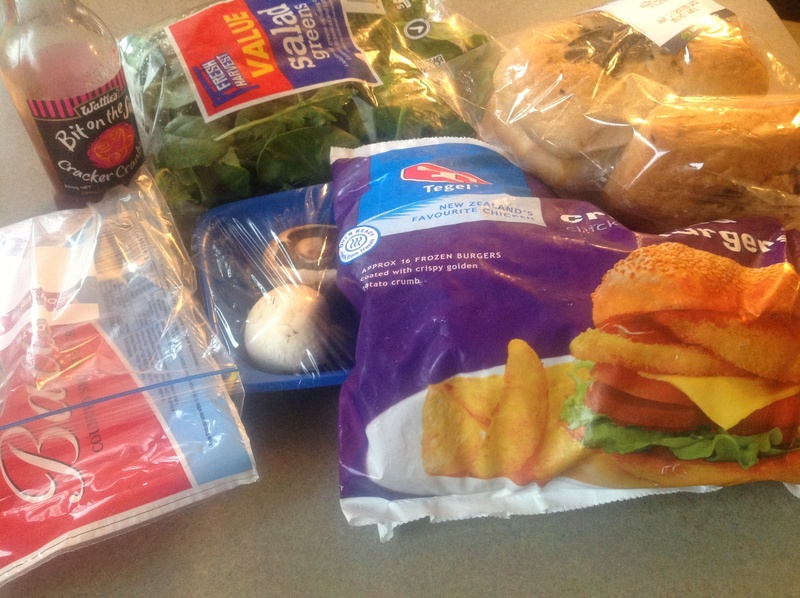 Build the “burger” as per your tastes – I sliced the bread in two (I got a pack of 4 small Turkish breads) and put the chicken, then mushrooms, bacon and salad. Perfect, exactly what I felt like. Easy, filling and tasty. Win.